Kaspersky Security Software has been found to cause issues with SuperWEB2 in certain situations. The issues include delays logging in, problems with mapping, and problems loading tables and databases (particularly large tables). If you are experiencing problems such as these and you have Kaspersky Security Software installed, then you may find that switching to an alternative security solution, or using the workaround detailed below, resolves these problems. The issues are related to a bug in some versions of Kaspersky Security Software that causes it to interfere with legitimate HTTP network traffic. 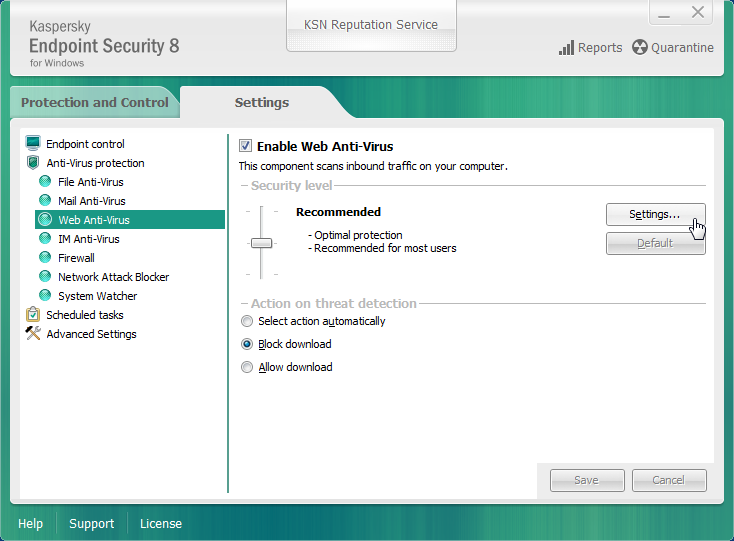 Open Kaspersky and select the Settings tab. Select Anti-Virus protection > Web Anti-Virus. The Web Anti-Virus settings display. Select the Trusted URLs tab and click Add. 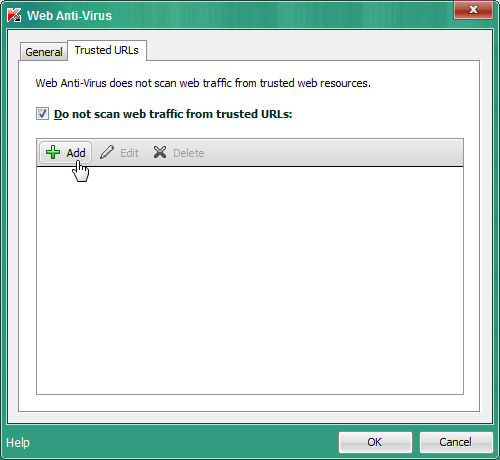 Click OK on the Web Anti-Virus window and Save on the main Kaspersky window. This is just one example; in this case the error has been encountered in Map View (the error message in your log file would show the URL of your external mapping server, rather than the default URL shown here). These errors are likely to be related to this known issue. You should advise any users who are running Kaspersky to follow the workaround steps shown here, or consider switching to an alternative security solution.